Kung Fu Zombies Vs. Cannibals is Monstrously Good! 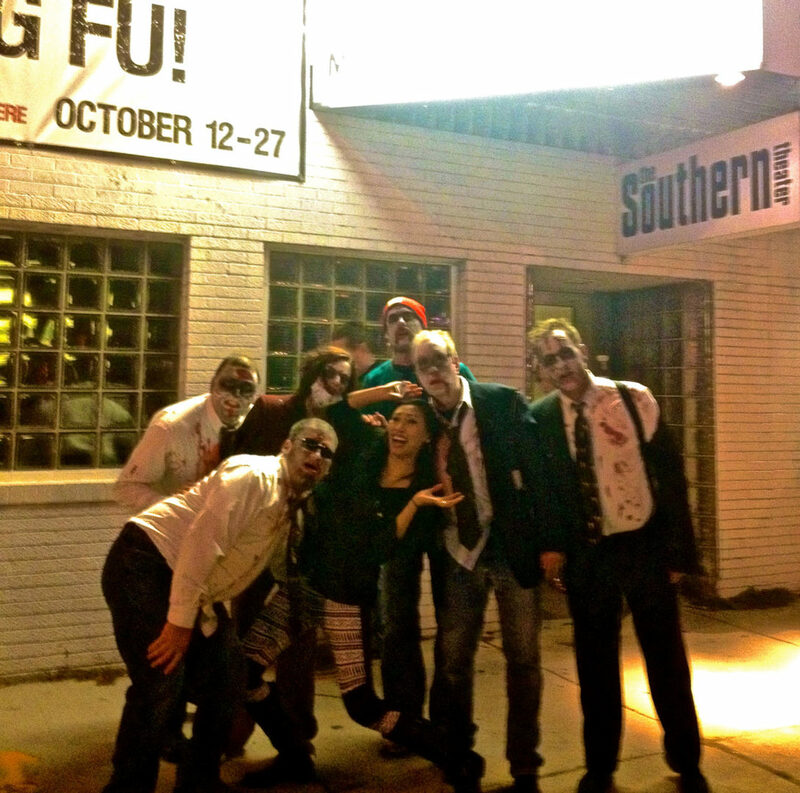 Saymoukda Vongsay poses outside the Southern Theater with the undead. 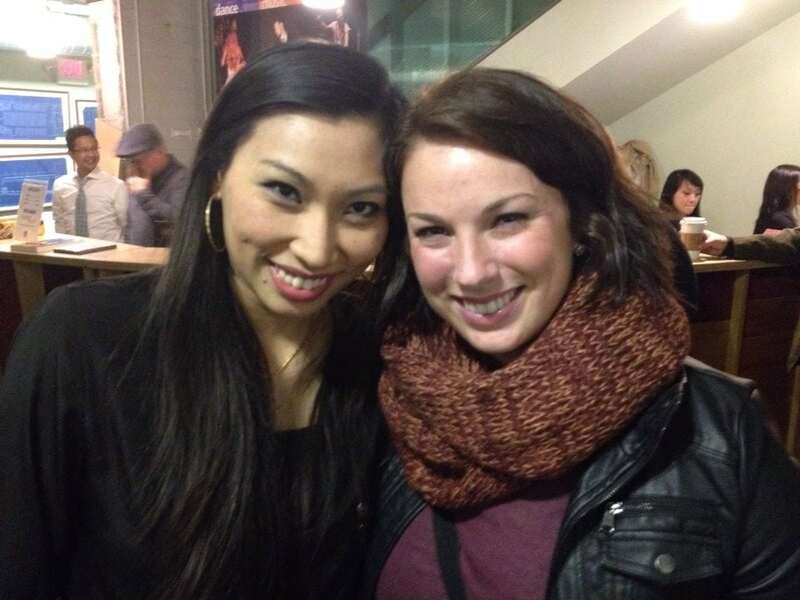 We made our way cautiously to The Southern Theatre on October 13th. The street was teeming with pale and bloodied creatures loping around with cigarettes dangling from black lips, raising plastic cups of sour beer to the autumn night sky. The perfect setting for the world premiere of a Mu Performing Arts’ production of Kung Fu Zombies vs. Cannibals. The play is a dream, channeled and embroidered into a rich crazy quilt adventure by playwright Saymoukda Duangphouxay Vongsay, director Randy Reyes and a a talented cast and crew. It tells the story of Sika, a Lao American woman from Minnesota who roams a post-apocalyptic world battling zombies and cannibals — kicking and clashing with Kung Fu moves set to hip-hop music and finishing off her enemies with swords and knives. Sika is inspired and burdened by the past. Her journey takes her from DeLaSalle High School in Northeast Minneapolis to the mountains of Laos where she intends to return her parents ashes to their ancestral home. At every turn she is attacked by faceless zombies and conniving cannibals. When she is not fighting, she is haunted by the battles she has fought and the lives she has taken. She questions her warrior nature which seems so at odds with the pacifist Buddhist principles by which she was been raised. During her heroic journey she adopts Girl, a tiny side-kick who can catapult through the air and fight monsters with as much grace as Sika. She finds herself attracted to Arahan, a female warrior she struggles to trust and she seeks guidance from a couple of Buddhist monks who wear saffron robes as saggy as urban blue jeans. The story draws on powerful archetypes of good vs. evil and war vs. peace. What makes this story rise above the fray of the stilted swagger of costumed zombie pub crawlers on Washington Avenue is the specific context for these mythical characters. The play draws our attention to the larger forces that create a world where we turn on each other, fighting, murdering, even eating each other in the name of survival. The play makes frequent references to the effect of the Vietnam war on the the life and people of Laos: the carpet bombing and the legacy of unexploded ordnance, the diaspora and the feelings of rage, displacement, longing and grief. Yet, for all these heavy subjects, the play moves with the brisk timing of comic book pages being turned; animated sequences and slides inform the audience of time and place, offering viciously humorous tag lines for each episode. DJ Kool Akiem, lodged in the rafters, maintains a kinetic beat suited to our millennial action heroine who, in the end, is smart enough to recognize where the battle ends. 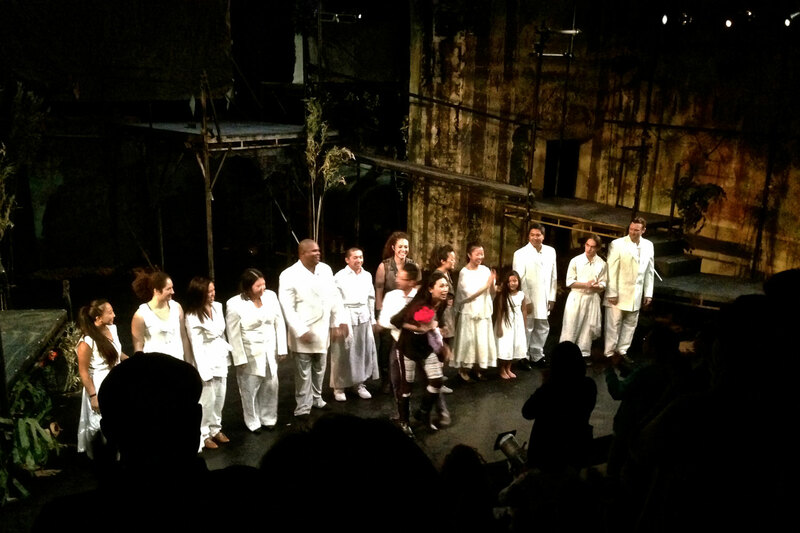 A standing ovation for the cast on opening night! Kung Fu Zombies Vs. Cannibals will be at the Southern Theatre through October 27. Full disclosure: I’m a longtime admirer of Saymoukda, a friend and colleague, who writes poetry and prose that frequently leaves me blown away. Here she is (left) with my daughter Lucy Steinmann.